AnswerFirst's Receptionists Can Do Anything! AnswerFirst live receptionists can do anything! 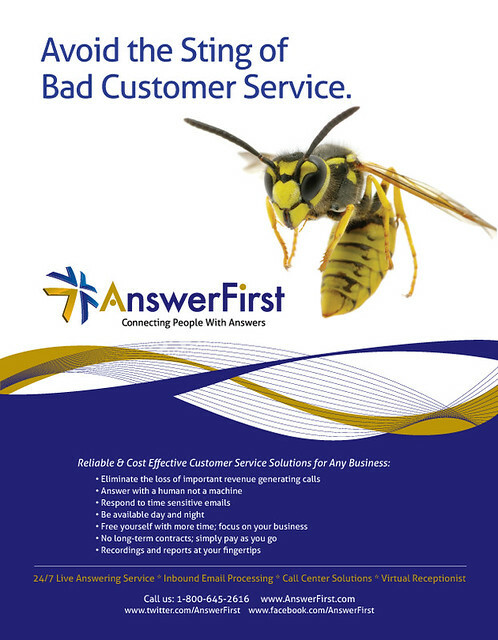 Avoid the Sting of Bad Customer Service! Reliable & Cost Effective Customer Service Solutions for Any Business! There's no excuse for foul customer service! Consistent, prompt responses to your business communications lead to happy customers, business growth and a reputation of great customer service for your business. We only collect a $20.00 base rate up-front; we actually have to answer your calls and respond to your emails to earn any additional money. This makes us HIGHLY motivated to answer every inbound communication in a timely and professional manner. Services that make you pay upfront for a package of calls, minutes or units do not have this same level of motivation because they’ve already been paid. At AnswerFirst, a lost call from one of your customers tired of waiting in a hold queue means potential lost revenue for you and guaranteed lost revenue for us. At AnswerFirst, we feel that it's part of our job to educate our clients about the services and products we offer and part of that process is teaching clients about some of the more technical aspects of a call center including the terminology that goes along with learning about it. With that goal in mind, here is a list of answering service and call center industry terms with layman's definitions. This list of terms consists of words and acronyms that we use almost every day when speaking with our current and potential clients; these definitions are useful for anyone who is new to dealing with answering services and call centers. 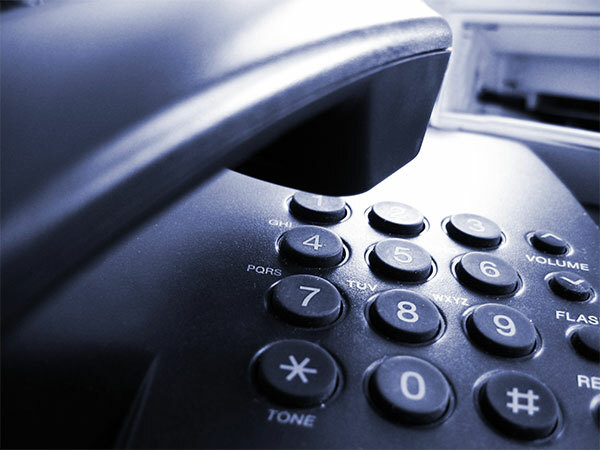 IVR or Interactive Voice Response: A technology that allows humans to interacts with computers through the use of voice and tone inputs. When you call a business and a machine picks up that asks you to make choices by speaking or pressing buttons on the phone you are interacting with an IVR system. Most callers find IVR systems to be annoying because many of these systems don't work well; this can result in substandard customer service experiences. CSR or Customer Service Representative: These are AnswerFirst staff members that will be answering your phone calls and emails. Our customer service representatives must have prior customer service experience; it's their job to answer all of your business communications according to the protocols you have created while being both professional and friendly. DID or Direct Inward Dialing: Your DID is the number that is designated as your direct line in our call center. When this number is dialed and the phone rings in our call center our agents know that these calls are for your account. CWA or Client Web Access: This is our version of a free online customer account portal. You can access your messages, check your invoices and change the way your calls are handled by logging in and taking advantage of the many features of CWA. If you're currently shopping for an answering service you might also want to check out our answering service comparison chart. Even if you decide that our services are not right for your particular business needs, we hope you feel that you've learned something about the services you were shopping for during your interactions with us. Looking for more information? Give us a call at 1-800-645-2616, tweet or Facebook us.